Home Applications A Camera Queen is for better image on your iPhone! A Camera Queen is for better image on your iPhone! 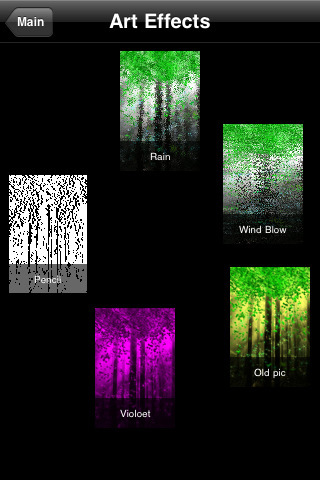 New image editing app is available for iPhone, iPod touch and iPad users. The App is called A Camera Queen, developed by Chen Li. Camera Queen offers wide range of different effects from familiar to more rare. With this app you can think about improvement or perfection of the image you like. In total 24 effects include: greyscale, negative, blur, rain, pencil, violet, and so on. You can use mentioned effects on the existing image in your camera or take a new picture and apply one of these 24 unique effects. Choose an image and use one of these effects you like. In case you want another, just save the first effect to camera and bring Camera Queen for using the second effect. Additionally, have to admit that some sources inform about Photo fx's and PhotoForge's better image editing, without big price difference. A Camera Queen is available at a price of $2(USD).